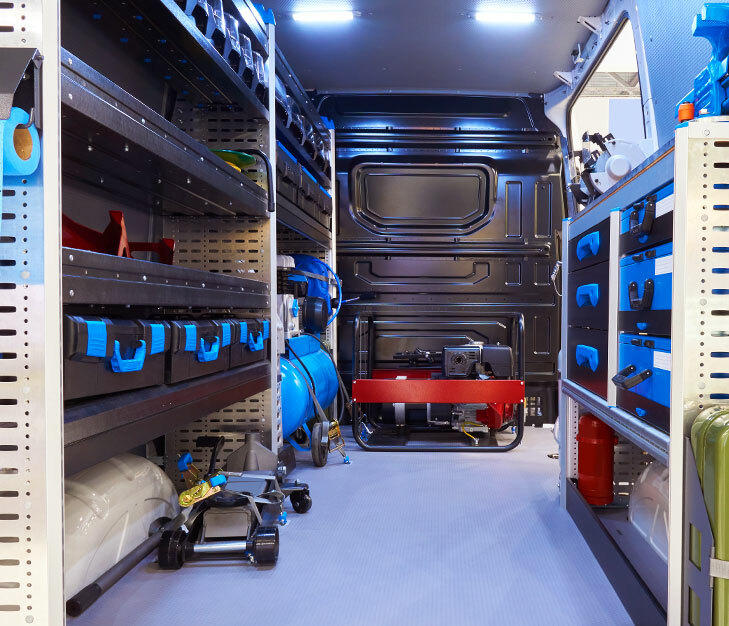 Prevent loss of assets, keep better track of vehicles, and improve compliance with maintenance and repair requirements using the Litum IoT In-Vehicle Inventory Tracking System. This technology allows businesses to keep a better track of their highly mobile assets and the valuable equipment contained within vehicles. Our RTLS equipment tracking system utilizes a Vehicle Control Unit (VCU) that receives signals from Bluetooth (BLE) beacons attached to assets stored in the vehicle. The data from these signals is sent onto your headquarters or the vehicle station house where Litum's Vehicle Inventory Management Software is installed on your computers. Our VCU uses the GSM network to communicate with your computers. Finally, we have installed a GPS module in the VCU which allows you to see exactly where each vehicle is located with an accuracy of a few meters. The RTLS asset tracking system works equally well for busy airports trying to monitor ground support equipment or a mobile tech repair company with a large fleet spread across the city. Companies usually rely on drivers to keep manual track of the inventory inside a vehicle. This process is time-consuming. Even with the use of barcode scanning, workers still have to pick up and scan the barcode on each asset in a vehicle. With our RTLS equipment tracking system, inventory tracking is done continuously and automatically. Drivers can focus on work or dealing with emergencies, while Litum’s software counts inventory, records check in/out, and alerts drivers when an asset hasn’t been returned to the vehicle. 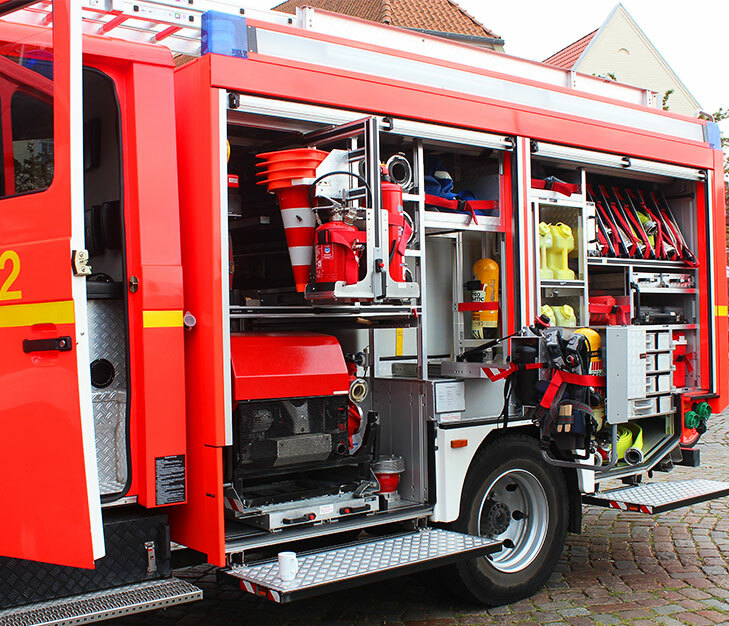 EMS, maintenance, and technology providers can have some valuable equipment inside their mobile fleet. It hurts the bottom line when these assets are lost, misplaced by staff, or stolen from vehicles. The VCU keeps losses at bay by tracking every item in a vehicle. Our RTLS asset tracking system sounds an audible alert when certain equipment is removed, and also sends out automated alerts when unauthorized persons try to remove equipment or use the vehicle. Our Inventory Management Software allows you to manage the maintenance of sensitive equipment inside the vehicle. Set up scheduled maintenance and calibration requests. Check the maintenance status of items within the vehicle. Set up alerts that trigger when equipment needs maintenance soon. Our system also allows you to review the repair history of assets. Our automated system ensures that all of your assets are available to personnel when needed. There are no monthly fees or hidden costs. It not only reports the real time inventory inside the vehicle, but also the location of each vehicle.